This is a phenomenon observed around the world. 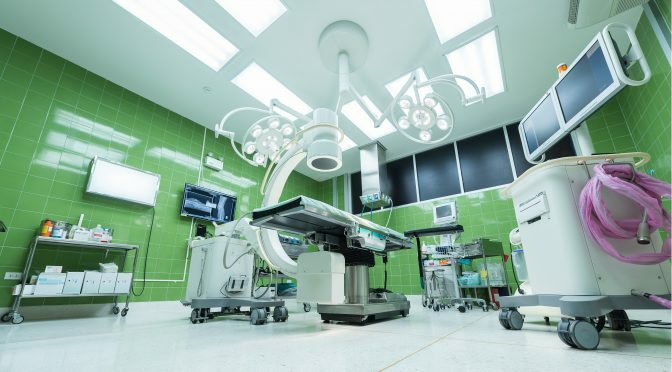 Hospitals produce more than 5.9 billion tons of waste annually, with just over a pound of hazardous waste generated per hospital bed per day (Burmabl & Hoppszallern, 2013). To further illustrate, the National Health Service (NHS) in England is responsible for almost a quarter of the total public sector’s emissions, equating to about 18 million tons of CO2 per year (Pencheon et al., 2009). The US healthcare sector, for its part, is the largest consumer of carcinogenic chemicals (Karliner et al., 2011). Developing countries also face similar realities. In India, the commercial sector, which includes the healthcare sector, consumes 7.6% of the total electricity of the country (Kapoor et al., 2011). The problem is further exacerbated in developing countries where waste management infrastructure is weak, which significantly increases population exposure to hazardous waste and negative effects on population health. For example, environmental contaminants have been associated with deteriorating health states, cancer, birth defects, respiratory and cardiovascular illnesses, and gastrointestinal problems. With the improvement of health technologies and a growing awareness for environmentally responsible practices in the healthcare sector, there is an opportunity to reduce the healthcare sector’s environmental footprint. This has been observed in the shift towards the development of “green hospitals”. Green healthcare infrastructure involves investing in sustainable facilities, meeting new standards for energy consumption, improving water management, and adopting safe biomedical and infectious waste disposal practices (Dhillon & Kaur, 2015). Constraints to achieving green hospitals and facility operations, however, are numerous. For example, hospitals must comply with health and safety regulations, building codes, and infection control protocols, which may prevent hospitals from adopting sustainable practices. Furthermore, hospitals must comply with space and resource maintenance regulations as a requirement of emergency backup systems, to ensure that operations do not cease during emergencies (Burmabl & Hoppszallern, 2013; Roberts, 2011). Although barriers to green facilities seem insurmountable, reductions in energy consumption are possible, without sacrificing the quality of care. Small measures such as hospitals switching to compact fluorescent and light-emitting diode (LED) light bulbs, reducing thermostats down by just a few degrees, purchasing energy-efficient products, and retrofitting buildings to limit energy waste, can have important impacts on hospital energy consumption. Along with the reduction of their environmental footprint, hospitals could see savings in facility costs. A US study found that up to 5.4 billion dollars in savings could be achieved over 5 years from collective measures in hospitals they sampled with similar operational changes (e.g. lighting upgrades, high-efficiency electric motors, zone air handler scheduling, off-hours shutdown) (Kaplan et al., 2012). As the World Health Organization has declared that global warming is “the greatest global health issue of the 21st century” (Costello et al., 2009), it will be important to develop “green” facilities and practices to reduce the healthcare sector’s consumption and waste, in order to counter global warming. It should be a collective goal to limit the environmental footprint of the institutions that seek to improve health, in order to avoid the devastating opposite effect on our planet and our health. Burmabl, B & Hoppszallern, S. (2013). Shades of green. Healthcare Facility Management. July. Costello A, Abbas M, Allen A, Ball S, Bell S, Bellamy R, Friel S, Groce N, Johnson A, Kett M, Lee M. (2009). Managing the health effects of climate change. The Lancet 16;373(9676):1693-733. Dhillon, V. S., & Kaur, D. (2015). Green Hospital and Climate Change: Their Interrelationship and the Way Forward. Journal of Clinical and Diagnostic Research : JCDR, 9(12), LE01–LE05. Kaplan, S., Sadler, B., Little, K., Franz, C., & Orris, P. (2012). Can Sustainable Hospitals Help Bend the Health Care Cost Curve? The Commonwealth Fund. November. Kapoor, R., & Kumar S. (2011). Energy efficiency in hospitals: best practice guide. New Delhi: United States Agency for International Development. p. 41. Karliner J, Guenther R. (2011). Global green and healthy hospitals agenda. Health Care without Harm. October.